I had an appointment at FAHC so after I was done I walked across the green to UVM, to get something from one of the food trucks. 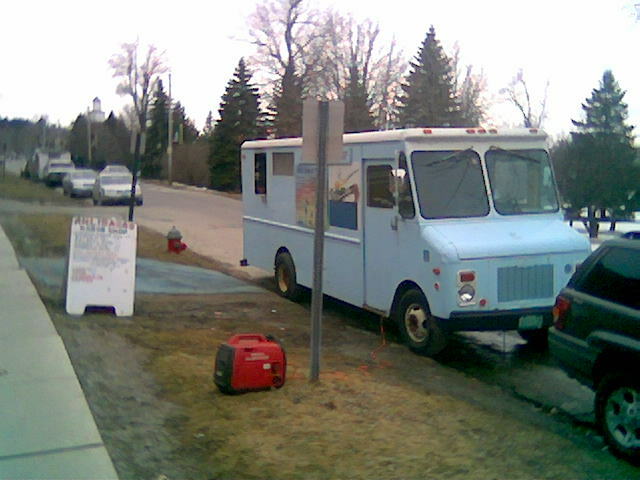 This was my first time that I had been to Ahli Baba’s food truck, although I’ve been to their downtown Burlington Vermont location a few times. Toasted pita, falafel (deep fried mashed chickpea discs), romaine lettuce, fresh tomato, onions, and tzatziki sauce (tangy yogurt based sauce). 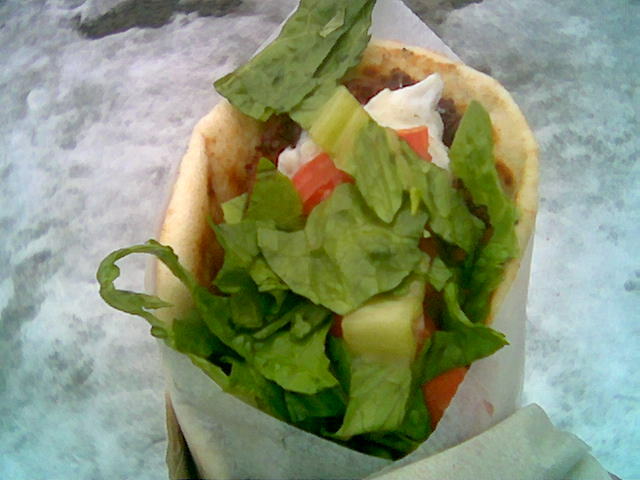 Everything was perfect, in this pita. 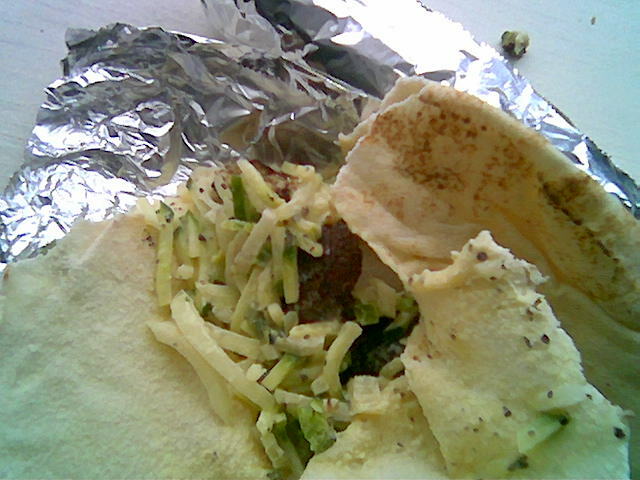 The falafel was perfectly crispy and soft in the middle, with a nice spice. The truck cook, offered hot sauce on my falafel which I’ll have to try another day. It was nice having some nice hot street food, in the chilly weather. Currently this is my favorite falafel from around town. 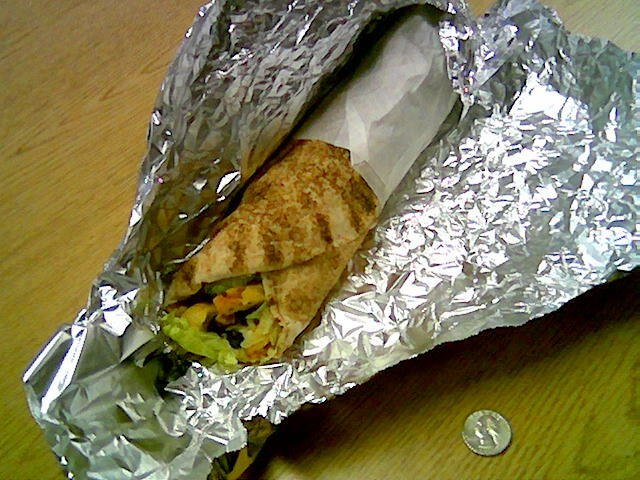 The falafel pita was a great deal at $5.50 with tax (follow the college students for cheap eats). The food truck is cash only. Waf’s Westside Deli, is a family-owned Deli in Winooski Vermont. Waf and family are always super friendly, however I would strongly recommend ordering ahead if you’re in a hurry, as they do get busy. Their number is 802-655-0290. I ordered the “Moroccan Chicken Pita Wrap” Which is described on their menu as “Savory spiced chicken breast with hummus, provolone, lettuce, tomatoes and olives”. I chose the wheat Pita to make this a fairly healthy choice. Waf’s cooks everything in an oven, so the fresh pita is slightly toasted. The chicken slices are seasoned, and the hummus is slightly garlicky and smoothly textured (yum). 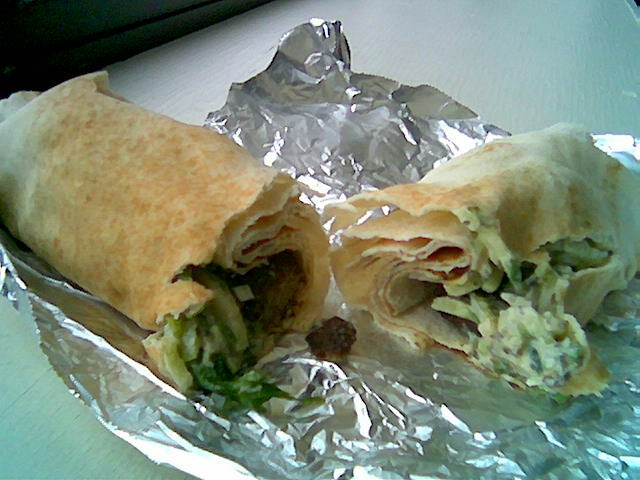 Waf’s has a few yummy Mediterranean sandwiches, this one was $6.98.